If your child can talk, then chances are you’re all too familiar with these words: “Mom, I’m so bored!” That’s why we’ve decided to compile fool-proof lists of kid-friendly places to visit in a variety of cities where the Moving Mom writers and readers have lived. Our first featured area is central New Jersey. 1. Beaches – Whether you like the water or not, the Jersey Shore is worth a visit. The beaches are clean, most are family friendly and there’s plenty to keep the kids entertained. Little ones can build sand castles, collect sea shells, watch for dolphins, splash in the waves or just enjoy a picnic on the sand. It’s easy to spend hours at the New Jersey beaches – just don’t forget the suntan lotion and arrive early if you’re hoping to park nearby! There is a fee to enter all of the beaches during the summer season from Memorial Day to Labor Day and some beaches have paid parking, as well. Our favorite beach is Avon by the Sea because it has a beautiful, newly renovated vintage-themed boardwalk with a concession stand, a restaurant, beach shop and tidy bathroom facilities. Sandy Hook State Park – Each vehicle that enters the park is charged a fee rather than individual admission rates for the beach. On a clear day, there’s a nice view of New York City in the distance. Point Pleasant – In addition to beautiful beaches, this location has boardwalk games and rides. It can get expensive because there is a fee to park and another for beach access. And to reach the restrooms, beach goers have to go wind through the carnival atmosphere of the boardwalk and can easily lose their kid’s attention (and a few bucks) along the route. Belmar Beach is very similar to Avon but just a dollar less admission. It has a playground and all around pleasant facilities. 2. Colonial Park in Somerset, NJ – This gem of a park is a peaceful sanctuary tucked away just a few minutes from the hustle and bustle of New Jersey’s infamous traffic jams. It is enormous and offers something for everyone. There’s a Rose Garden filled with all sorts of beautiful flowers and foliage. Don’t forget your camera! Colonial Park also features several bodies of water that are great for fishing, especially with young kids. In addition, there’s is miniature golf, a paved fitness path, paddle boats, tennis courts, a softball field, a huge playground and an 18-hole championship golf course. 3. Terhune Orchards in Princeton, NJ – Princeton is a beautiful area to visit for any reason at all but this place deserves its own trip. Terhune Orchards has a Farm Store that sells all of the delicious, fresh produce grown on the property, along with fresh apple cider donuts and other baked goods made daily on site. Check the orchard’s website to find out which delicious produce will be in season during your visit – blackberries, blueberries, apples, etc. They even offer a Pick Your Own option, which is always fun for the kids. Terhune has a barnyard area where visitors can view chickens, horses, ducks, geese, sheep and goats. For a dime, you can even get a handful of corn to feed some of the livestock. Pedal tractors, stationary tractors and other farm-related equipment keep little ones occupied and entertained. And for the parents, Terhune has a winery with a kid-friendly tasting room. So stop by and sample some local wine (I recommend Just Peachy) while the kids explore the artwork displayed in the building. 4. 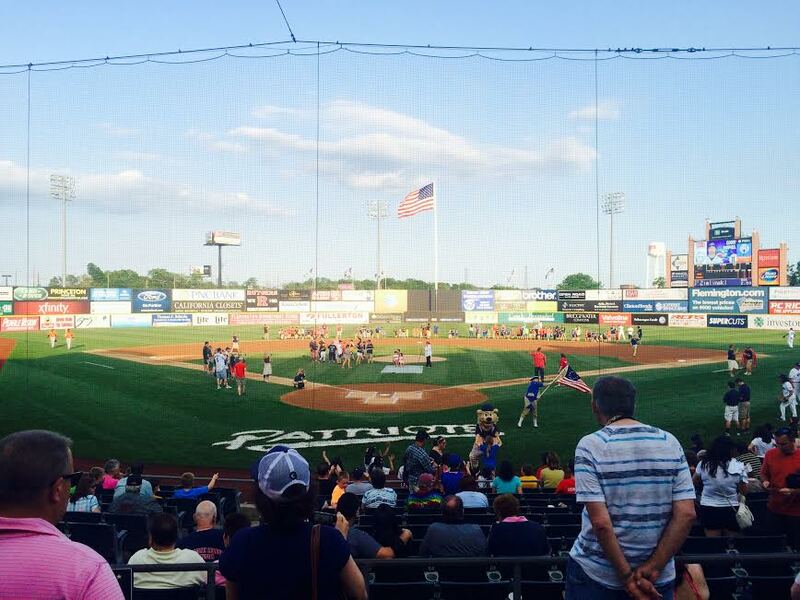 Somerset Patriots in Bridgewater, NJ – If you’re looking for good, old-fashioned American family fun, then buy your reasonably-priced tickets to a Somerset Patriots game. The TD Bank Ballpark is small enough that restrooms and concessions aren’t far from any of the seats but it still has the feel of a Major League stadium. The whole game is kid-friendly and parking is reasonably close by. With a little prior planning, you can even get tickets for a night when there is a fantastic fireworks display directly following the game. 5. Duke Farms in Hillsborough, NJ – Nature lovers will be right at home here. 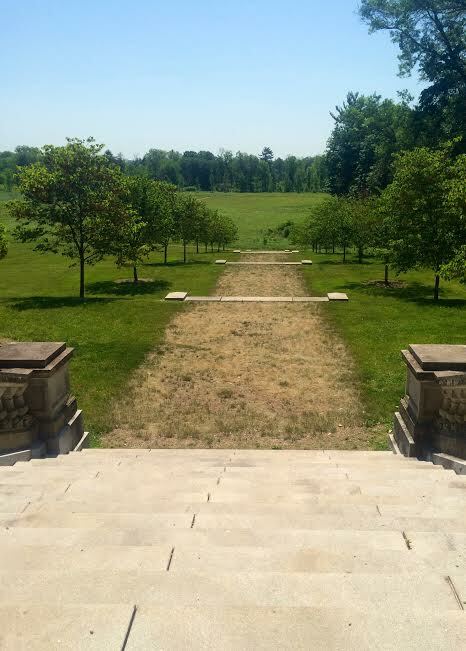 The Duke family transformed more than 2,000 acres of farmland and woodlots into an impressive landscape that is now open to the public FREE of charge during business hours. There are more than 18 miles of walking trails and 12 miles of bicycle trails. And if your kids are too small for walking and biking, tram service is also available. The farm’s main building is its enormous, historic Farm Barn. On the first floor of the building is the Orientation Center. It houses a café, restrooms and a space for interactive exhibits and displays to teach visitors about Duke Farms. When we visited, there was a seasonal, kid-friendly, hands-on activity in this space, as well. 6. Liberty Science Center in Jersey City, NJ – The Liberty Science Center is designed with little ones in mind. Kids under age 2 get in free and strollers are allowed in most of the facility. There’s even a private nursing room with a rocking chair for breastfeeding moms. Kids ages 2 to 5 will have fun at the I Explore gallery, created just for young learners. Older kids can scrub in at the Be A Surgeon exhibit in Infection Connection or make a huge soap bubble in Wonder Why. There’s also an exhibit called Skycraper that lets little ones try their hand at operating an electromagnetic crane and other equipment. The center also houses an IMAX Home Theater. Tickets for the center can be purchased in advance online. 7. Liberty State Park – This place is amazing and a must-see for anyone in New Jersey with kids. It’s a rare green expanse with spectacular views of Manhattan’s skyline, the Statue of Liberty and Ellis Island. As the only place in the state that offers ferry service to both the Statue of Liberty and Ellis Island, it’s a great way to experience a touch of New York City without the headache of hauling the whole family by car or train. The park also features an enormous playground area, miles of walkways, an outdoor performance area, locations for fishing and plenty of great picnic spots. Bonus “ick” factor find: Insectropolis in Toms River, NJ – This place is NOT for the squeamish but if you like creepy crawly critters, then step right up. My kids were thrilled to get up close and personal with the thousands of exotic insects at this unique learning center. 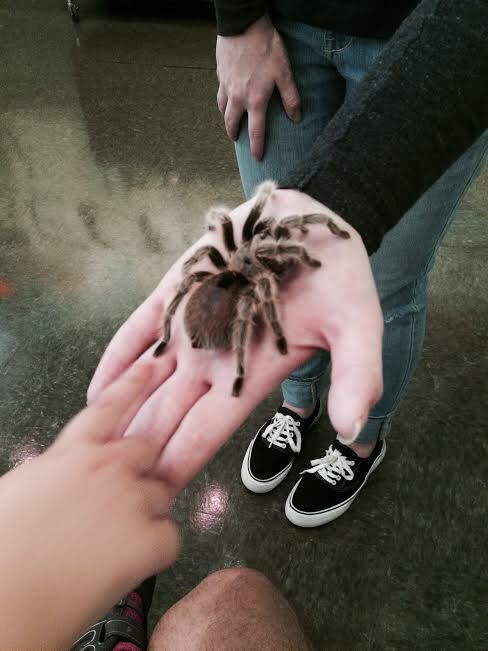 They were able to touch a tarantula and other insects that they won’t find in our back yard. Insectropolis is designed to look like a bug-themed city and has a number of exhibits, including Creepy Tavern, Catepillar Café, The Mud Tube, Bug University and Bugseum. Road Trip: If you have a little time on your hands and feel like taking a day trip to Pennsylvania, check out the Crayola Experience in Easton, the Please Touch Museum in Philadelphia, or Sesame Place in Langhome.